As a longtime Plex user, I've read good things about MrMC's playback abilities—especially with regard to HDR playback—so I picked up a Shield TV to test it out. Playback does indeed look quite good; however, there is a 1-2cm band along the entire right and bottom edge during video playback when using the Plex add-on within MrMC (see pic below). This occurs with both 1080p and 2160p content. The preplay screens fill the entire display; the problem only happens during playback. 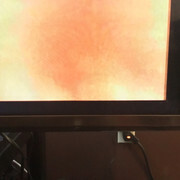 Video calibration appears to be correct in the MrMC settings, with the arrow fully visible in the bottom right corner of the display. 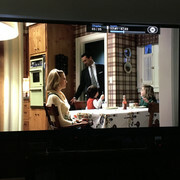 This issue is not present in the default Plex app for the Shield TV; when playing the same video files the picture goes to the right and bottom edges of the display. Does anyone have any idea what the problem might be? Any assistance would be greatly appreciated. have you tried playing back the same file using MrMC Plex integration? I didn't even know that was an option. I'll try playback using that method and see whether there's any difference. Again, this does not happen when viewing the same content using the Plex app for the Shield TV. The video playback fills the screen with no overscan or underscan. I found the solution. 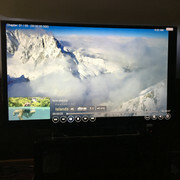 In the Playback Settings menu, "Also allow resolution switch" was selected. Unchecking this resulted in videos displaying properly with no overscan or underscan on the tv.